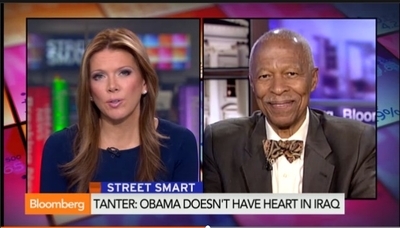 On August 15 Interview at Bloomberg TV –- University of Michigan Professor Emeritus Raymond Tanter discusses President Obama's strategy in Iraq and the situation in the Middle East at large. He speaks on "Street Smart." To watch the complete interview please go to Bloomberg TV.